For Release -08-07-14 - New York, N.Y. – (Release from www.Skullman.com) With the induction of Sarunas Marciulionis into the Basketball Hall of Fame on Fri. Aug. 8th the story about the tie dyed Skeleton uniforms Sarunas Marciulionis and the Lithuanian Olympic Basketball Team wore in the 1992 Barcelona Summer Olympics may be sure to come up again. 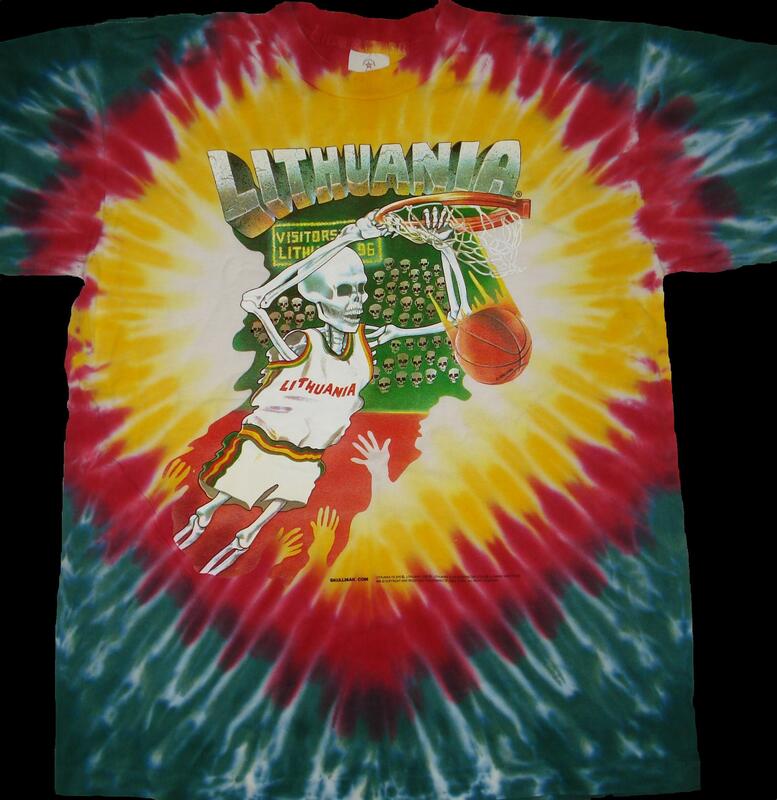 Sarunas Marciulionis and the 1992 Lithuanian Olympic Basketball Team wore the iconic Skullman Slam Dunking Skeleton on tie dyed uniforms for the world to see as they received their bronze medals on the podium back in the 1992 Barcelona Summer Olympics. However the source and meaning of this famous icon have been misreported for over two decades in published reports in the media without the facts first being checked out for accuracy. The real story- The iconic basketball dunking Skullman on tie dyed uniforms that the 1992 Lithuanian Basketball Team and Marciulionis wore in that famous moment on the podium stand in the 1992 Barcelona Olympics was actually created by New York artist Greg Speirs. www.gregspeirs.com who is known for creating the 1970's rock magazine, 'Grooves'. The iconic skeleton design was created by the artist, on his own, and came into this story independently, top down from him as a Licensor and was not created as the icon of the rock group as reported, and was created with a totally different meaning behind it. Greg's work was seen worldwide and a lot of good was done with it raising funds for the Lithuanian team and charities but Greg was given no recognition. The misreports were picked up by other journalists and repeated becoming an inaccurate narrative which was institutionalized in news reports that we're not checked for accuracy. When Sarunas Marciulionis and the 1992 Lithuanian Olympic Basketball team wore NY artist Greg Speirs’ iconic design, it became a worldwide news event and the artist’s Original Lithuanian Slam Dunking Skeleton became a historic symbol of Lithuania Basketball culture and part of the country of Lithuania's new history. 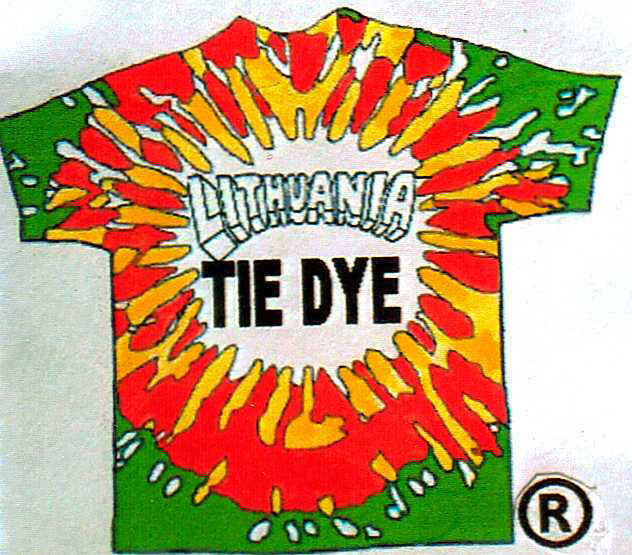 When the saga about the 1992 Lithuanian Basketball team would come up in the news the Skullman on the tie dyed uniforms would be included as an important, key part of the story. "The story will no doubt come up again during the Basketball Hall of Fame inductions. Being now informed of the facts the press has another opportunity to perform their journalistic obligation and correct the previous misreporting regarding this part of the story. Stories need to be carefully researched and checked for factual accuracy before they go to press. This story needs to be updated otherwise its not fair to the public, your readers, who deserve the truth in accurate reports. Reporters seeking information about this image need to ask to person who created it and not someone else. Greg was never interviewed. "said Mike Thompson of Skullman.com. The artist’s design came to represent the spirit of the team and was also used as "The Other Dream Team" film poster and to promote its run in theaters across the U.S. and internationally.http://www.imdb.com/title/tt1606829/ According to the artist who created the design, it was not created as the icon of a rock group as had been reported. The origin of the Slam Dunking Skeleton - from the artist himself: “It was great to be part of such an historical event. The 1992 Lithuanian Basketball Team represents what happens in freedom…people excel. The Lithuanian Basketball Team symbolized resistance against an oppressor, and the Slam Dunking Skeleton represented them, a whole country’s team. 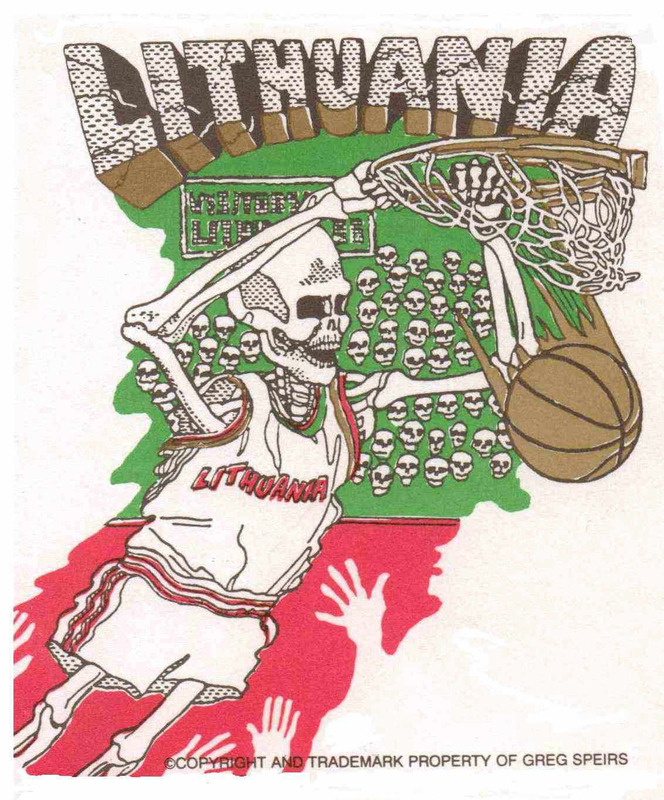 The political struggles of the Lithuanians struck a chord with me and the Slam Dunking Skeleton image represented an entire country's team coming up from nothing. It symbolized the team, like a Phoenix rising from the ashes, rising to overcome the obstacles, which are represented by the hands blocking the shot in the image. The image is one of breaking out of oppression represented by the skeleton finally rising up slam-dunking the basketball. It also symbolized what happened to the whole country of Lithuania politically. This was my interpretation when I created it in 1992 and its real meaning. It's not a dead skeleton at all, but this skeleton represents rebirth and a regeneration of new life. I know that the Lithuanians really understand what freedom is all about, and anywhere people love freedom Americans are there to help. Also, you can't have freedom without free enterprise. http://www.heinnews.com/basketball/nba/marciulionis-gives-back-in-more-ways-than-one/ I thought that the making of the film would bring everyone together but that didn't happen. So at the Basketball Hall of Fame inductions in August maybe finally get a chance to meet and say you're welcome." said Speirs. Marciulionis' jersey was already in the Basketball Hall of Fame in 1993 because of Speirs' Skullman exhibit installed at the Hall in 1993. Skullman was "enshrined" at the Basketball Hall of Fame on December 07, 1993. The giant Skullman 3D mural was an exhibit dedicated to the Bronze Medal 1992 Lithuanian Olympic Basketball Team from the Barcelona Olympics. Marciulionis' jersey was added as part of the Skullman exhibit in 1993 by Mike Brooslin who was the curator at the time. Speirs also played another key part in this story in 1992 1nd 1993 by acquiring the status as the major sponsor of the team when he turned down all money generated from sales of his creation, and instead let it all (100%) ($450,000), go to the team and to Lithuanian charities. His donation eclipsed all of the funding by the big names involved. A second wave marketing of the artist’s trademark (The Slam-Dunking Skullman) funded the 1996 Lithuanian Olympic Team as news reports boasted that millions more raised were given to Lithuanian Children's Charities and helped build the basketball school in Lithuania. Funds that were generated from the sale of shirts utilizing the dunking skeleton ultimately came from the artist as creator and owner of the image. "I would like to see where my money was sent to, see the basketball school, the Children’s charity and it would be great to personally meet some of the people they say my money helped. After so many years it's amazing that Marciulionis and I have never met especially since my work was used to raise so much money for the team." said Speirs. Greg made no appearances during the premiere of "The Other Dream Team's" movie run around the country except for one in New York but will be in attendance at the Basketball Hall of Fame inductions ceremony at Symphony Hall in Springfield, Massachusetts this Friday Aug. 8th according to Skullman.com.